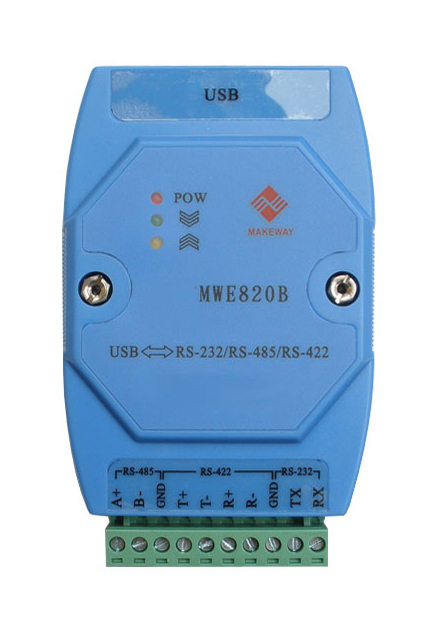 This industrial grade USB to RS485 / RS422 is an alternative to our part number U485G. 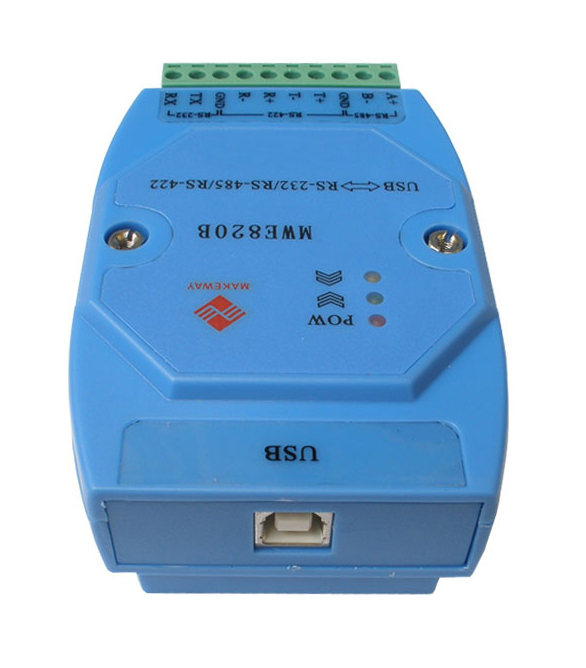 The main difference between the two converters is that this converter also has a RS232 port in addition to the RS485 and RS422 ports. All 3 serial ports can be used at the same time for simultaneous data transfers. 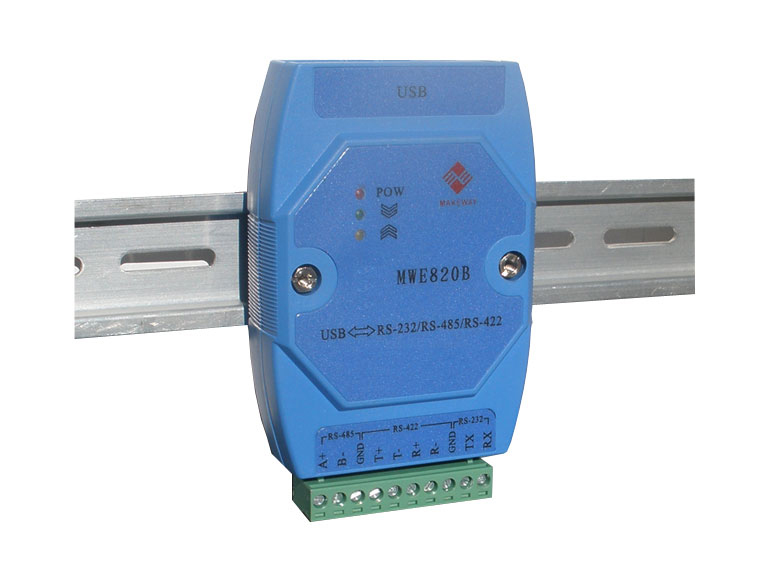 Another difference is that this converter has a different style housing and a detachable screw terminal header which makes it very easy to disconnect the data wires quickly. The U485G has a built-in terminal resistor whereas this converter does not, (the resistor is usually only needed for very long range communication). A built-in DIN clip on the backside of the converter makes it easy to install it on standard DIN rails, but the converter can also be mounted with screws. Another nice feature is that this converter is stackable, you can actually stack as many units on top of each other as you want. This will save you valuable DIN or rack space. The converter is powered from the USB port so no external power supply is required. Indication LED lights identifies when data is present (TX and RX) and when power is applied to the converter. The data LED lights is a great help when troubleshooting to determine if data is being sent or received. Optical isolation of up to 3500 volts is achieved by high speed 6N137 isolation opto-couplers from Fairchild Semiconductors, this will protect your data, equipment and the converter itself against most types of static electricity, surges and high voltage spikes, which often can occur in industrial installations. 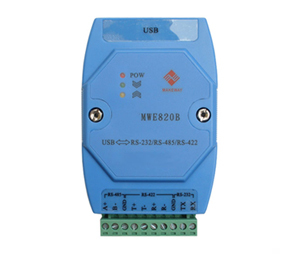 This USB to serial RS232, RS485, RS422 converter is designed with the CP2102 processor chip from Silicon Labs which is a top-shelf high performance processor that will ensure reliable and fast data transfers for many years.